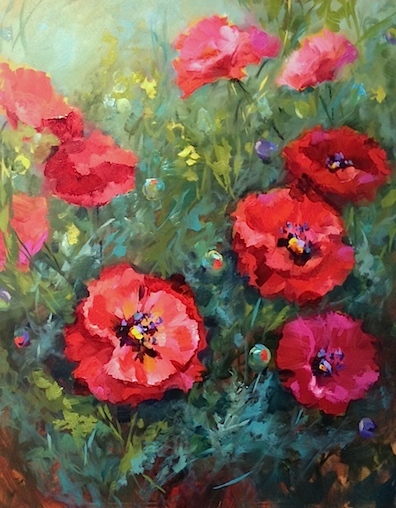 Sing Spring is the newest poppy garden in Flower Mound Studio, based on the hundreds of poppies blooming last week in the Texas Hill Country at Wildseed Farms. My girlfriend and I took our IPhone and IPads out in the field to get as many photos as possible of these pink, peach and red beauties. They even had some hybrid pinks with stripes! Since the garden center closes at 5, the employees stood patiently by waiting as we flower fanatics got those last irresistible shots in. Thanks so much Wildseed for always putting on such a colorful display. Speaking of spring, it was a perfect day today for a nap in the garden, and here's a photo to prove it!